Have you ever had a new business idea you feel would work, but you were nervous about taking the risk? When Gideon was called by God to attack 135,000 Midianites, with only 300 men, he naturally was anxious. God told Gideon in Judges 7:10-11, "If you are afraid to attack, go down to the camp with your servant Purah and listen to what they are saying. Afterward, you will be encouraged to attack the camp." Gideon was led to listen to an unwitting "focus group" of sorts. What he heard convinced him that God was going to give him victory. If you're considering a new venture, don't overlook the value in listening to the end user, before investing significantly. Sometimes a survey or focus group will provide the confidence you need. 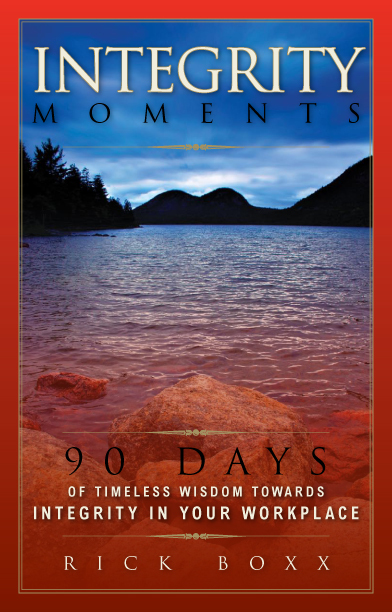 For more daily wisdom for the workplace check out Rick's devotional book "Integrity Moments." It makes a great gift as well!